I knowÂ a number of you who read Viva Woman uses natural sunscreens or sunblocks like me, but also have questioned if what you are using is giving you sufficient sun protection.Â Â The natural sunscreensÂ use zinc oxide and/or titanium dioxideÂ as the active key ingredients and unlike most of the European formulations, do not tell you the Persistent Pigment Darkening (PPD)Â rating used to measure UVA protection. From some sources I have come across, it would seem that natural sunscreens do not offer high enough PPD and logically this make sense since their chemical counterparts always include a number of chemical sun protection active ingredients.Â The natural sunscreen I use only has 20% zinc oxide for example.Â The good news however,Â based on info I’ve come across, is that both zinc oxide and titanium dioxideÂ stay onÂ top ofÂ our skin until they’re wiped or washed off, which means they’re photostable! 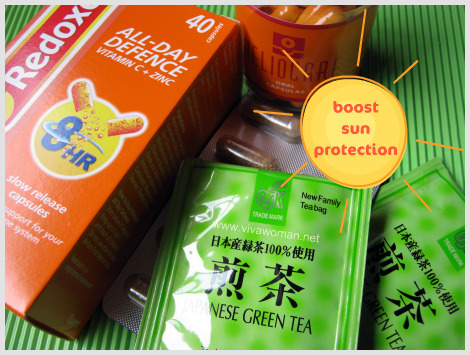 So if you are not sure about the sun protection level of your sunscreen, you might want to use other forms of sun-fighting arsenal or even customize the items you’reÂ usingÂ to suit the weather.Â I know many are uncomfortable about taking the oral sun protection pills.Â So for this group, I suggest you have sufficient intake of vitamins C & E which will also provide you with the required antioxidants to battle the free radicals caused by exposure to UV rays – on top of using your sunscreen. 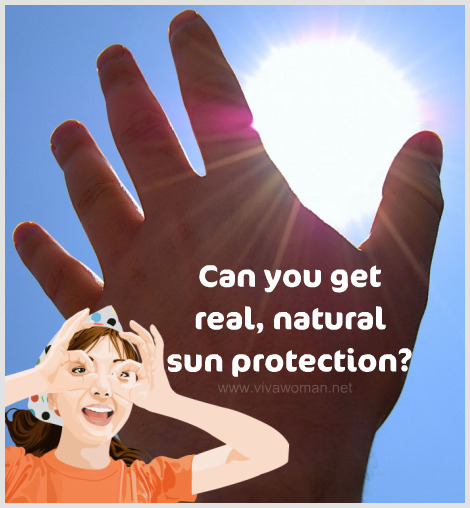 How to boost your sun protection from within Getting sun protection from natural ingredients Heliocare: oral sun protection from inside out Would you wear special sun protection clothing? 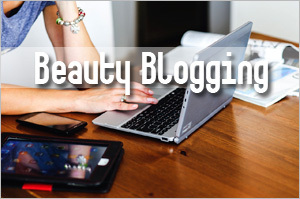 Previous Post: « Are your beauty routines ruining your skin? how’s heliocare? i have some reservations about ingesting capsules for sun protection. any idea on safety data? The texture of the Fluid Extreme is great. Just that it contains alcohol so I prefer the Lait Veloute. 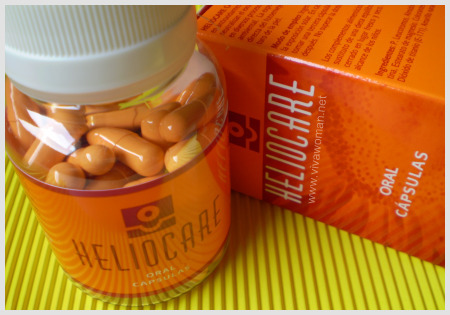 I’m into my 2nd bottle of Heliocare. So far, so good. I don’t have the safety data…need to hunt for it…but it seems okay based on those who have consumed it. Please tell me if they sell the True Bio Skin Care & Marie-Veronique in actual stores in SG? Thanks. 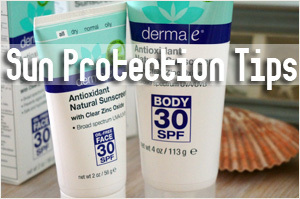 the grade of titanium and zinc oixde is also the key when selecting a good sunscreen. Remember Oreo cookies? Interestingly, the white filling is a form of titanium oxide (giving the cookie its signature white) and you guessed it, is of a lower grade. Anthelios containing meroxyl is a great sunscreen although I do know thaty it still gives some people that oily and sticky feeling. My tip to them is to mix it with a mattifying gel, and it usually works. 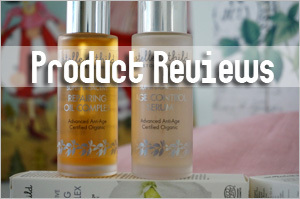 So far I like the Anthelios that I use – not very greasy. Btw, how can we tell the grade of titanium and zinc oxide? I like the LRP Uvidea XL sun protection and anti-pigmentation. However, I don’t like the oily cast (its actually not oily on the face but seen as oily). I like Diorsnow UV shield (diff from the bases thats got diff colours) for the sun protection and non oily look. However, it is too dry for my skin. My base makeup looks cakey. Sigh. Looks like I will have to use LRP Uvidea XL when I put on makeup and Diorsnow when I don’t. If I’m not wrong, Diorsnow has got alcohol or more of it. hey stella, yes there is safety data on heliocare pills. it also has an antixoidant component although you need to make sure you get the one that is suitable for your skin as one version is packed with beta carotene (that stuff that gives carrots it’s colour) and can make asian women look a bit yellow! it works brilliant and i tested it on someone, turns out you will still get a sunburn if you are exposed to sun for a length of time but you will also recover a lot faster. Yes, I make my husband takes two of these because he’s very lazy to apply sunblock and yet wants to swim under the hot sun. So far, he doesn’t tan as much so it must be doing something right. I realised that my pores clog quite badly when my sunscreen contains titanium dioxide. Am trying out sunscreens with only zinc oxide. Both titanium dioxide and zinc oxide can cause this problem for some people. I was told that titanium dioxide in nano form can clogged pores too. 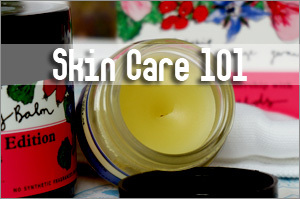 Another problem is the two ingredients can cause the skin to become more dry and hence, result in breakouts too. Oh, Guest. You clogged pores may due to the ingredients but also may be due to the sunscreen not fully removed. To be longer lasting, i.e. SPF higher or waterproof/sweatproof, I guess it would be more difficult to remove. Do you double cleanse your face at the end of the day whenever you put on sunscreen? I find that my skin gets clogged too if I did not cleanse properly. Tell me! I had a horrible experience breaking out with UV Natural Sunscreen cos I didn’t cleanse thoroughly! May I ask you what are the ingredients used in the La Roche sunscreen? I am using MV at the moment, and I know that it’s not enough protection for the beach, and it’s not water-proof! Is the La Roche sunscreen water-resistant? And where can I get it? Yeah…the Diorsnow one probably has more alcohol. It makes my face really matte to the point of drying out the whole day. Cream shadows at the corner of my eyes even turned chalky. I used the tinted Anthelios before. EVERYBODY says my skin looks very very tan! And its kind of smelly. Chemical smell. I prefer Uvidea XL. Yes, the Anthelios ones has this chemical smell which reminds me of those old sunscreens and the times when I was swimming as a kid. hi sesame, how do you do? the grades of titanium and zinc oxide can be determined from a consumer standpoint by checking up on whether the company that markets the product sends it products for testing. Jane Iredale, sends its products for UVA testing even when they don’t have to do so and it is certain that their SPF rates a medium to high, and that’s just in makeup! anthelios is frequently mentioned in research papers etc in their industry, skin ceuticals, olay, eucerin are also very known to test their products so what they claim is very often pretty true. the reputation of the company also plays a big factor. very often, smaller companies simply do not have the means to buy into quality materials and that is ultimately reflected in user dissatisfaction with the product, whether it be vitamin c or just titanium dioxide. but I sense you’re probably gonna be probing deeper into this and you will definitely come across a lot of very interesting things that you don’t usually see from a consumer’s point of view. A little like cosmetics CSI! A doctor also said the same thing to me – the reputation of the company is important in the choice of sunscreens. I recall reading that Marie-Veronique do send their products for testing even though they’re small and I’ve read some good things about them on makeupalley.com so should be okay. sunblock is the most important step of any skin care routine. I feel super insecure if I ever forget or skip my sunblock!! Me too! It’s like walking out naked! Yes, I do double cleanse. With cream and then a foaming cleanser. Sometimes I apply the suki organic mask too. Am getting frustrated about not yet finding a suitable sunscreen. La Soie is good in so far the texture is concern. However, do note my updates to the sunscreen – that it isn’t 100% natural and do contain some chemical sunscreen ingredients. But since you mentioned that your skin clogs with titanium dioxide and if this also happens with zinc oxide, then it might seem that chemical sunscreens are more suitable for you. I assume you’re from Singapore? Today I was at Vivo and found a new natural sunscreen. Still trying to verify the ingredients but looks at first glance to be all natural. It contains 25.9% micronized zinc oxide. Feels quite good on application and cost $25 at their push cart. I was told it’s available for $30+ at Living Pharmacy. I just bought it and going to test before reviewing. Perhaps you can keep a look out for it? Sesame, I have very oily skin and I start blotting about 2 hours after applying make-up. I’m worried that when I blot, I’m actually wiping away my sunblock (Heliocare SPF 50), which contains titanium dioxide and zinc oxide. 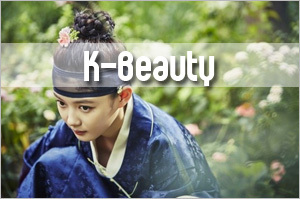 I apply sunblock, then BB cream, followed by loose powder to set. Hmm…when you blot, do you notice any powder stains on your blotting paper? When I was using blotting paper, some gave me this problem. I think you don’t have to be unduly worried though. Even if some of your makeup gets blot off, that’s the top layer so should not affect your sunscreen very much since you still have BB cream. Just try not to blot too much. I also ran a quick check on your sunscreen and noticed it also contains some chemical sun filters apart from TiO & ZnO so those will get absorbed into your skin and work from within. 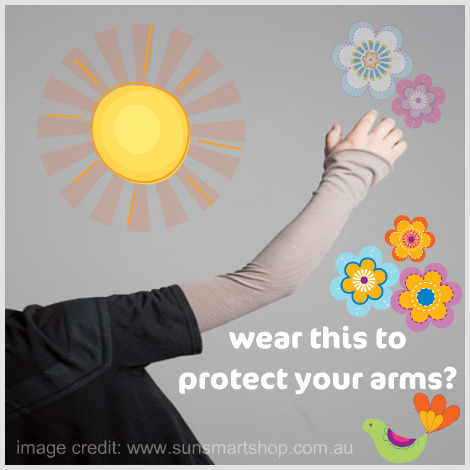 So you sort of get the best of both worlds in terms of sun protection. Thanks sesame for info. Is it the osmosis brand? I bought it at living pharmacy today! What a coincidence 🙂 I replied to your tweet too. Will see how it goes. Was actually considering the heliocare capsules but realised they contain titanium dioxide too. You did? I bought it cos when I tried it and as I was talking to the guy, it absorbed into my skin and left a nice feel. I was however, a tad concerned cos the brand is afterall new. I was told they have their products manufactured in Australia and the country is known to be strict about sunscreens. I will ask them a few questions too before I review it. Sesame, am trying UV-BSafe SPF 30 out myself. Only prob is that it makes the skin much too shiny. You have to put loose powder. I just came across Juice Beauty’s mineral moisturiser SPF 30. Feels great and looks completely natural. Tempted to get it.Doesn’t make face shiny. Just worried that it may not give enough protection – 10% titanium dioxide. Read that zinc provides better protection than titanium. Titanium Dioxide blocks out 50% UVA rays so if your sunscreen has that, it should also have some percentage of Zinc Oxide to be effective. You got the UV-BSafe too? What a coincidence! At first I thought it felt greasy and shiny but after a couple of minutes, it looks good. I haven’t tried on my face though so can’t tell yet. I use powder with sunscreen when I head out so it’s not a big problem for me. Freckles, I have the juice beauty sunscreen u are tempted to try. My skin does not like it due to the titanium dioxide. Bought it a month ago and more than half left. Keen to let it go if u are interested. Can Sesame connect us via email? I still hesitate to use physical sunscreen since I have melasma and want a high ppd. Physical sunscreen have ppd less than 10..but since my melasma is still getting worse using Anthelios, hat and everything, I might think that chemical sunscreen could have something to do with that. It absorbs the rays instead of reflecting them, like physical sunscreen. I will try Marie-Veronique. Do you apply 1/4 tsp and re-apply every 2-3 hours like chemical sunscreen? Anthelios did not help your Melasma? Woah, that’s tricky. I’m not sure if MV can help you but give it a try. It’s not indicated as water resistant though so if you swim or perspire a bit, yes, reapply. Otherwise, I don’t reapply cos ingredients for sunscreen stay on the skin until being wiped or washed off. For daily use, I use 1/4 I think…if you use it out under the hot sun, I suggest you use more if you can but it would leave a slight whitecast unless you choose the tinted version. The Creme de Jour is a tad drying so if your skin is dry, you may not like it. This is why I use it on my hands now since it will expire in a few months. Hi Guest,i was doing some reading on titanium dioxide. 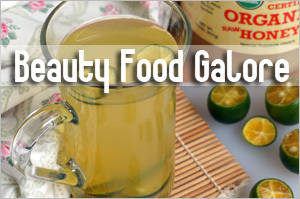 It seems that it is more easily absorbed by the skin – maybe that’s why your skin didn’t like it? Plus, it doesn’t give as much protection as zinc. I have freckles so I’ll have to give Juice Beauty a pass. I’m paranoid about not getting more of them. I tried Clarins HP SPF 40. What a disappointment. It didn’t protect enough and more freckles came out. Sesame, what do you do when you are wearing sunblock that needs to be re-applied every two hours and you have loose powder over it? I’m getting Jane Iredale loose powder with SPF 20 to powder over it instead of re-applying the sunscreen because it’s inconvenient. If I’m outside and with makeup, it’s impossible to reapply and I don’t. I just rely on the fact that it’s a physical sunblock so technically, should stay on my skin. But I try to avoid the sun as far as possible or use an umbrella if I have to be out. Loose powder with SPF can help for sure…and you’re right that it’s more convenient. 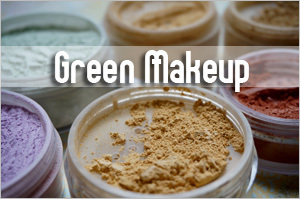 The Jane Iredale range is mineral make-up. Mineral make-up with SPF offers instant protection. So, I think that’s good enough for me because it’s a hassle to wash the face and re-apply the sunblock again! I use the mineral foundation range from LA Splash and like JI, do offer SPF too. Anyway, most foundation these days do too. I don’t re-apply sunblock on a daily basis. I only re-apply if I’m on holiday, don’t wear makeup and outside for long hours. I know that it is important to re-apply if we need the constant protection. I have a desk job and the only time Imay go out in the sun for like 20mins to an hour is during lunch. So, I hope that the sunblock I apply in the morning can last till lunch. It seems it’s more important to apply with the chemical ones because depending on the ingredients used, some of them actually degrade after 2 hours and can cause more free radical damage. But yes, like what you said, it’s very difficult especially if you have makeup on. If your foundation has SPF, it will be easier to apply that. Sesame, I was looking for the LA Splash mineral powder but I only found LA Girl at John Little’s. Is that the same brand? There is a dust-on SPF 45 powder at Sephora. I think the brand is Thomas Roth. Pricey at ard S$70. It’s whitish in colour. It’s in a form of blusher-like brush. When you twist, the powder is released. I’ve seen the product you mentioned at Sephora. $70 is very pricey…out of my budget for a powder. Gosh…I will have to find a way out. Btw, could you write a post on that if you got any ideas?! Thanks, sesame. I’ve read the review. i have stumble upon your wedsite &now am hook to it. I am very into natural products and now is very keen in knowing the recipes for DIY natural sunscreen if you have any. 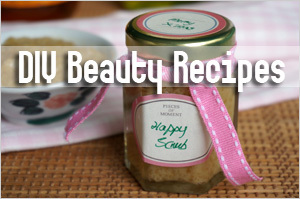 Hi Neo: This is a recipe I wrote about before: http://www.vivawoman.net/2008/08/14/homemade-natural-sunscreen-anyone/. However, please note I’ve not tried and also, I think it’s better to use those that are tested. It’s TiO2, not TiO! It’s not rocket science, it’s chemistry 101! Oh okay…thanks for pointing out the error. I never did chemistry and probably that explains my ignorance. Could I ask how we can remove sunblock thoroughly from our face? I’m using a rhassoul clay face bar now so would that be alright since rhassoul clay deep cleanses? I’m quite hesistant to use sunblock now because it caused me to get a very bad breakout a few months ago and it also makes my face feel sticky and oily. 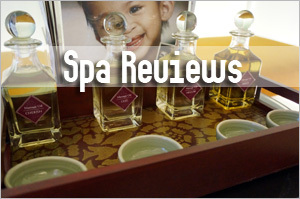 Use Japanese branded cleansing oil. It’ll remove the sunscreen. We have in the UK several brands of sunblock made by Soltan, Superdrug, Asda and Tescos supermarket which have 5* UVA rating which is apparently the highest you can get. They also make pink sticks which you can use on your cheeks and they look like blusher. But the best is Uvistat SPF 50 5* UVA. If you are so concerned about hyperpigmentation use your mineral sunscreen. Chemical sunscreens cause hyperpigmentation and can aggravate rosacea. Also, if your mineral sunscreen has a decent/high (10-20% zinc oxide or titanium dioxide) you hav depending on the amount good to excellent UVA protection. Mineral sunscreens block a remarkable amount of the sun’s wavelengths, so I wouldn’t worry about protection. To see how your sunscreen ranks for UVA protection I’d visit EWG’S (Environmental Working Group’s) Sunscreen Guide. 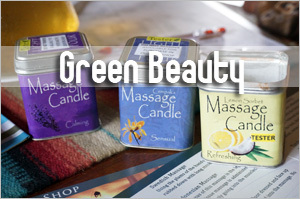 They address a lot of other things like makeup and other personal care products too!